Deep Learning is the ground-breaking technology designed to reduce human effort and automate security evaluation. 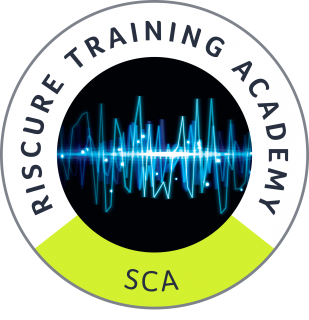 Aimed at Riscure Tools customers who want to take advantage of the latest deep learning features of Riscure Inspector, Deep Learning for SCA is a practical training to help you speed up your side channel analysis routine. Deep Learning and the concept of neural networks is now adapted to side channel analysis and used successfully as an alternative framework. 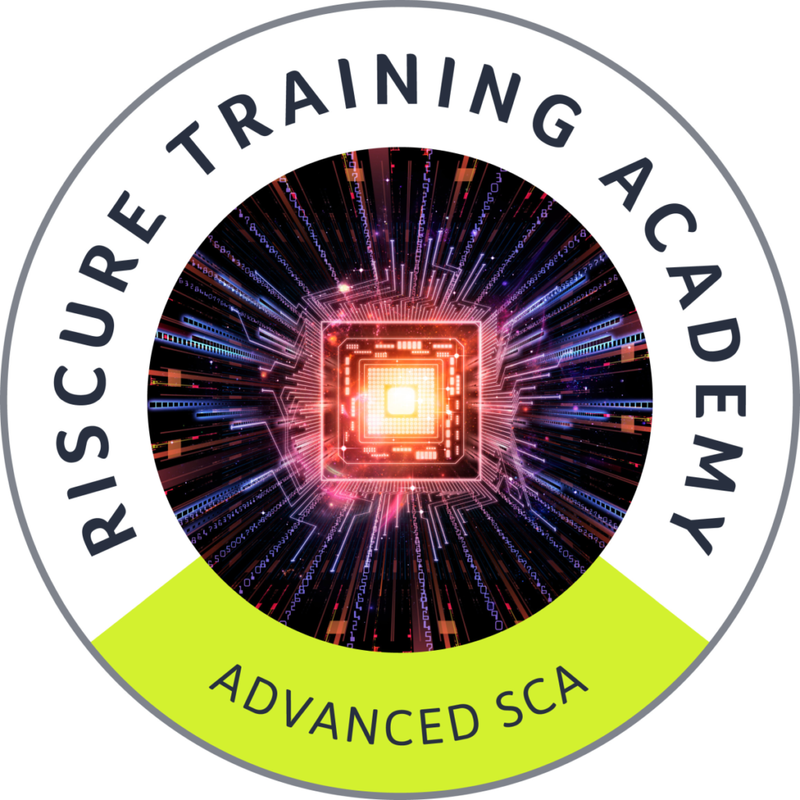 This course is created for Riscure customers who use Riscure Inspector and look for opportunities to speed up their side channel analysis routine. 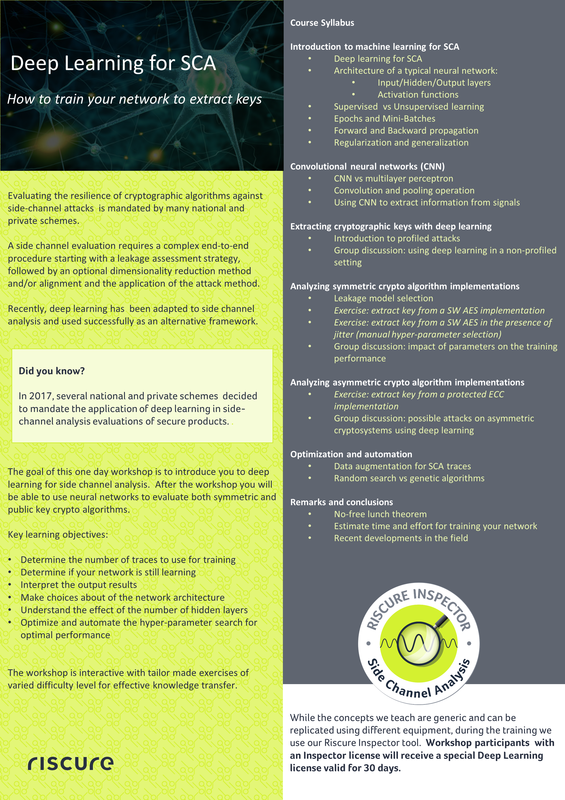 The goal of this one day workshop is to introduce you to deep learning for side channel analysis. After the workshop you will be able to use neural networks to evaluate both symmetric and public key crypto algorithms. Regardless of your background, this training is designed to help you understand what makes SCA easy and what makes it difficult. 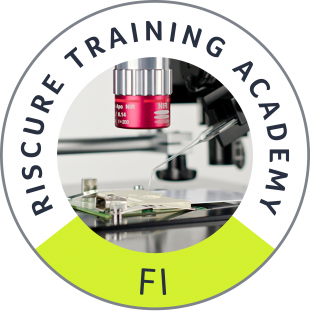 You learn the practice of side channel analysis from the developers of the best-in-class analysis tools and apply the gained knowledge to your embedded device. This course is aimed at side channel professionals who implement countermeasures and/or security evaluators that use side channels to measure leakage. People attending this training should have experience with performing side channel testing in practice.